As the new year begins at KANE, we have a stiff breeze at our back thanks to momentum established during an exciting and eventful 2017. Here’s a quick look back at the last 12 months. KANE finished 2017 with an RIR (recordable incident rate) of 1.7. The industry average, as reported by the U.S. Bureau of Labor Statistics (2016), is 4.6. 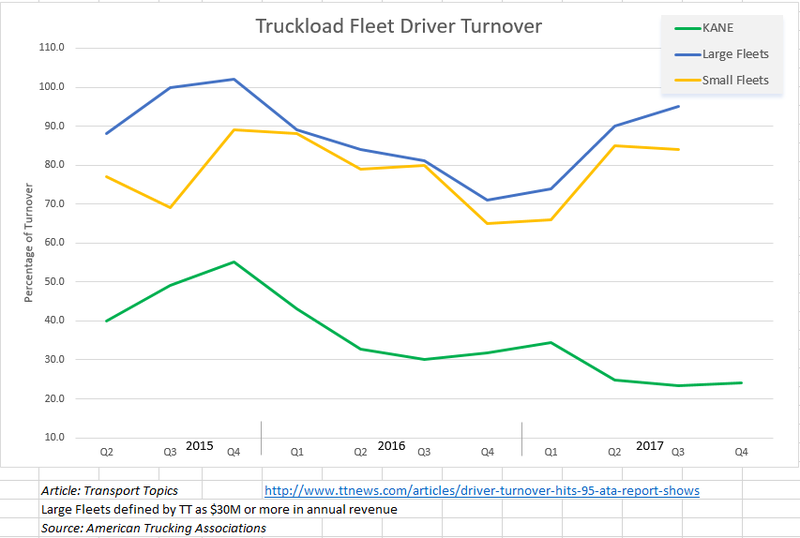 Additionally, KANE’s trucking fleet, which logs over 12 million yearly miles, has gone incident free for 95 days straight (as of this publication). In May 2017, KANE expanded Lehigh Valley operations, adding 200,000 square feet of distribution center space in Allentown and increasing our truck fleet size there. KANE received a score of 36% on our annual NPS (Net Promoter Score), an objective measure of customer satisfaction based on customer surveys. Our annual score has increased year-on-year by an average of 45% per year. KANE received the Best Practices in Customer Service from the Greater Scranton Chamber of Commerce during their annual awards gala. This honor affirms KANE’s commitment to customer service excellence. KANE received the 2017 Employee Engagement award from the American Logistics Aid Network (ALAN), a charitable organization that provides logistics support during natural disasters. The award was presented to KANE CEO, Mike Gardner, at the annual Council of Supply Chain Management Professionals (CSCMP) conference in Atlanta, GA in September. KANE continued its industry-leading efforts in driver retention, finishing 2017 with a turnover rate of just 28% – compared to an industry average of 87% (according to Transport Topics). 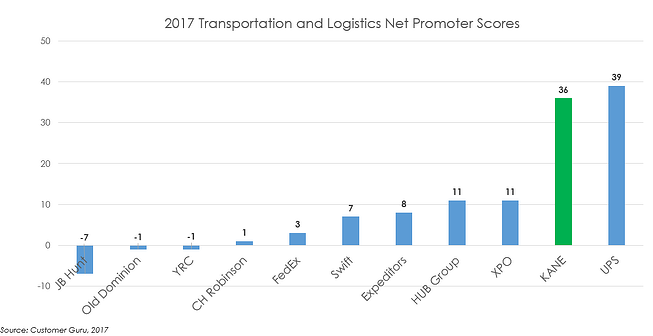 In April 2017, KANE was named again to Transport Topics Top Warehousing Firms. KANE came in at #28 on their annual list. In June 2017, KANE was recognized by Food Logistics as a Top Green Provider. Through KANE’s Lean practices, collaborative distribution, and transportation operations, we continue to deliver sustainable logistics solutions. 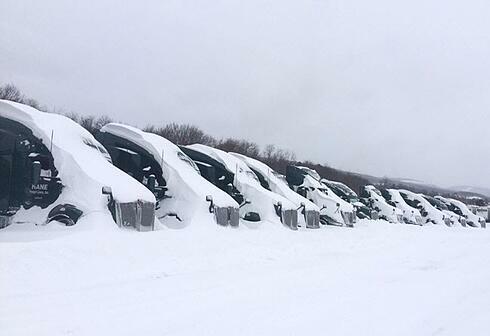 On March 15, our 250-acre Scranton, PA logistics campus was smack in the middle of a one-day record snowfall of 22.1 inches. Thanks to careful planning, we were fully operational the next day, making sure that our customers’ products were delivered and on store shelves, while neighboring shelf positions were empty. Hope you enjoyed this quick look back. OK, deep breath…now, to 2018. Bring it on.